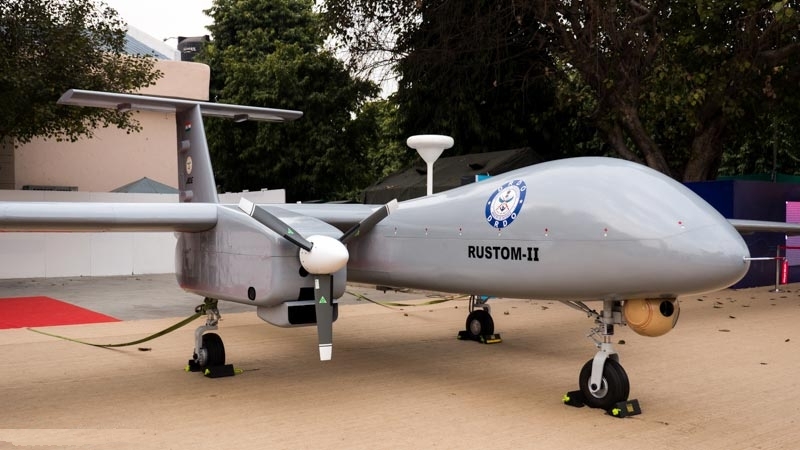 Rustom-II, India's indigenously developed long-endurance combat-capable drone, today successfully completed its maiden-flight, giving a boost to India's development programme for Unmanned Aerial Vehicles (UAV). The DRDO successfully carried out the maiden-flight of TAPAS 201 (RUSTOM-II), a Medium Altitude Long Endurance (MALE) UAV. It has an endurance of 24 hours and can conduct surveillance and reconnaissance missions for the country's armed forces. The UAV can also be used as an unmanned armed combat vehicle on the lines of the US's Predator drone. The test flight took place from Aeronautical Test Range (ATR), Chitradurga, 250 km from Bangalore, which is a newly developed flight test range for the testing of UAVs and manned aircraft. The flight accomplished the main objectives of proving the flying platform, such as take-off, bank, level flight and landing among others, a statement by the Defence Ministry said. TAPAS 201 has been designed and developed by Aeronautical Development Establishment (ADE), the Bangalore-based lab of DRDO with HAL-BEL as the production partners.